We all know fresh air and sunlight are essential for the human body and soul, but they also do wonders for our homes. We recommend having at least two metres clearance from your house to provide you with adequate air flow and let the light in, both of which help keep the property dry, especially in Auckland where we are prone to frequent rain and damp conditions. Having those important rays hitting your home could increase the lifespan of your roof and timber structure dramatically and is vital to protecting what is most likely your biggest asset. During winter when the days are shorter and we have less sunlight hours, increasing the natural light, and subsequently warmth, into your home becomes important. Over the warmer months our trees do the most growing, providing us with lovely shade, but come winter they can often block out the natural resource when we need it most. Keeping trees trimmed regularly and at the right time of year means you won’t suddenly find yourself in the dark. Opening pockets of light can also provide you with sought after views. We all know that a property with a view will increase its value. But it’s not just about hacking down trees or lopping off branches here and there. Maintaining your view is something you need to keep on top of and a thriving, healthy tree is going to grow and flourish, so having someone come in and keep it trimmed on a regular basis, either annually or biannually is the way to ensure you don’t let it get out of hand. 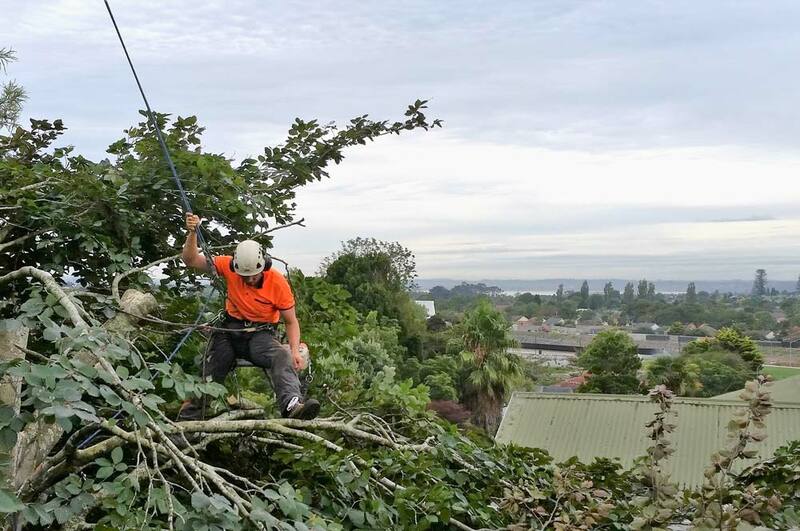 Trimming large trees which have been left to grow wild for several years can be time consuming and therefore costly, and as the branch sizes increase, the rules and regulations on how much can be trimmed come into effect, which means it may take you a lot longer to get the view you desire. Want a quick quote for your tree work? We can give you a price and recommendation online, without a site visit – just using some basic information and photos.